Kelly on Cortona & Acquasparta: Let’s Go Sagras! 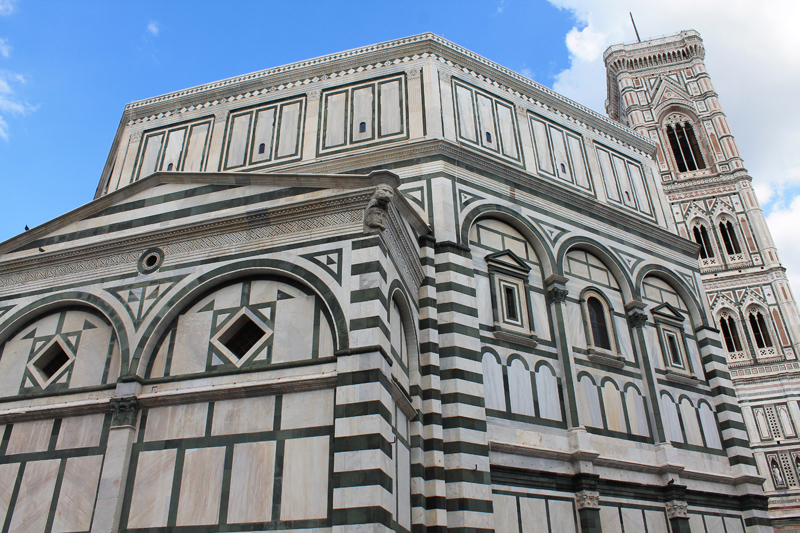 The Fabbriceria della Cattedrale di Firenze (Florence Cathedral Works) has served as working and storage space since the Middle Ages. Founded in 1296 by the Florentine Republic, it is known today as the Opera di Santa Maria del Fiore. 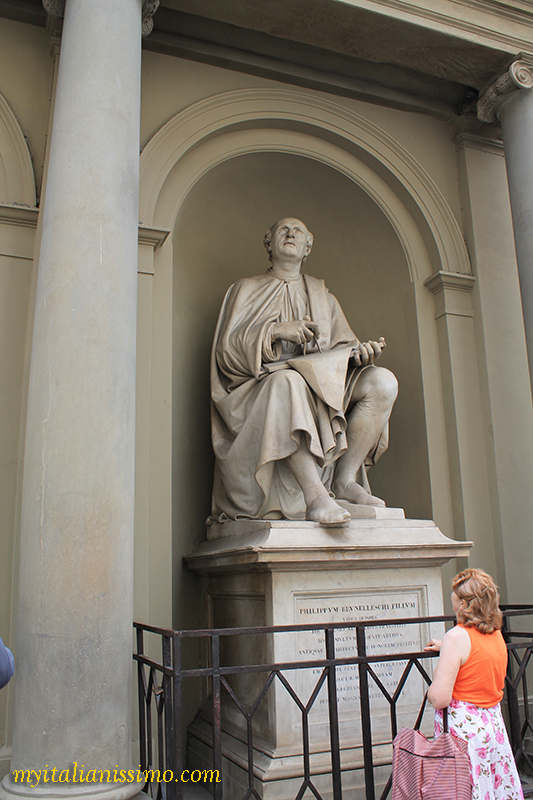 This is where the world’s greatest collection of Florentine medieval and Renaissance sculpture has been preserved for over 700 years. 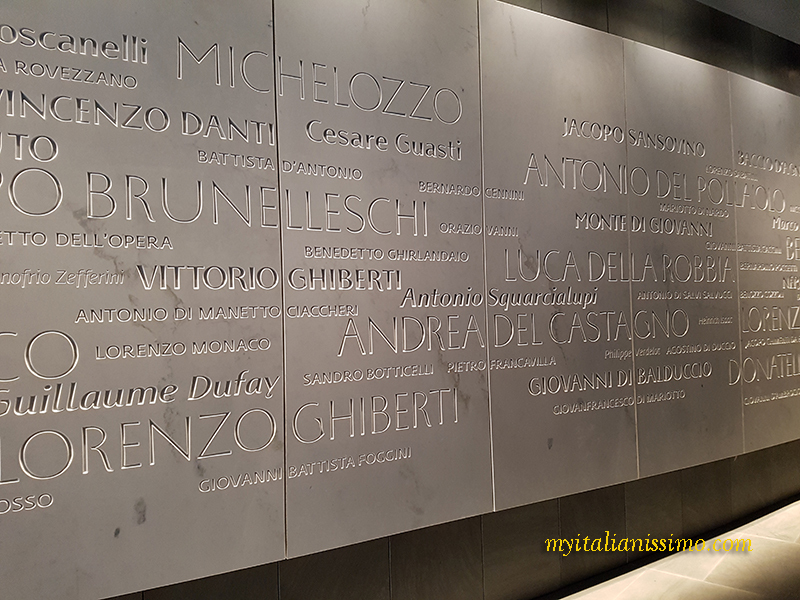 It boasts masterpieces from the era’s major artists. It was here that Michelangelo carved the David, originally commissioned for the Duomo. 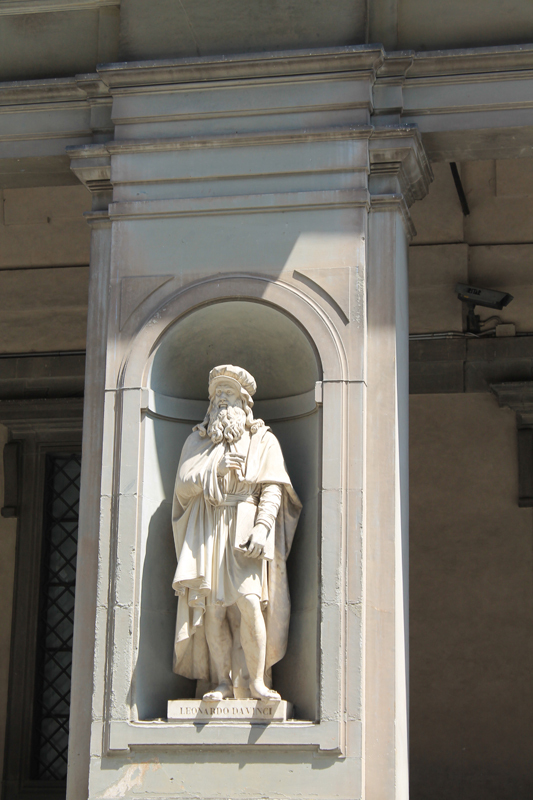 Museum entrance, Piazza del Duomo 9, with the bust of Cosimo I de’ Medici the Grand Duke of Tuscany, here to remind us that the Opera del Duomo was basically an organ of the Florentine Republic. 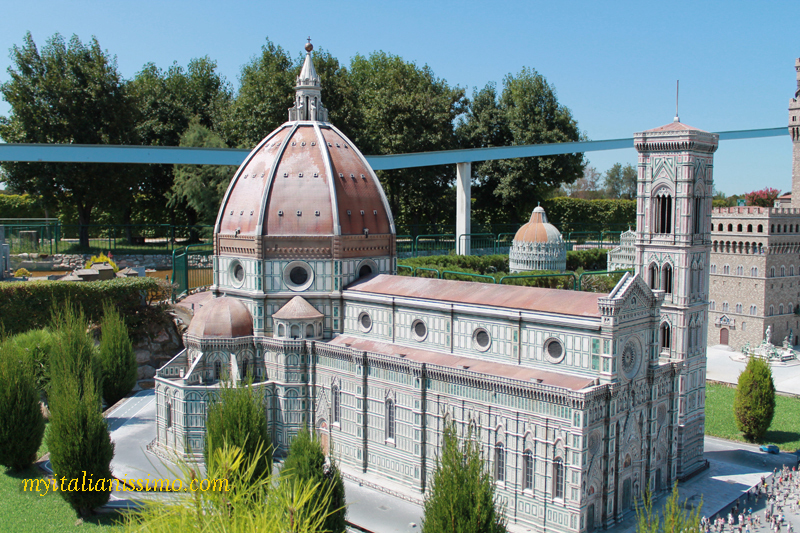 Since its opening to public in 1891 the museum has grown in size. The most recent transformation took place between 2010-2015. 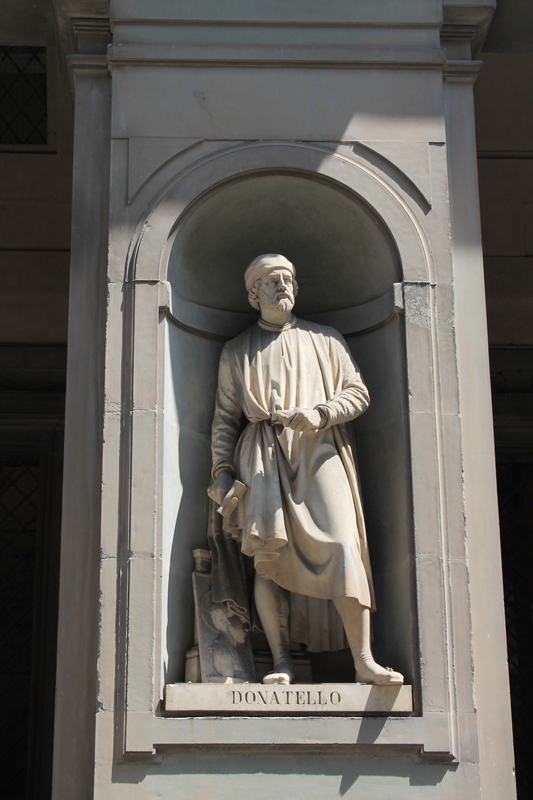 Now 750 artworks by masters from Donatello to Michelangelo can be admired here. The spectacular new setup will take your breath away. 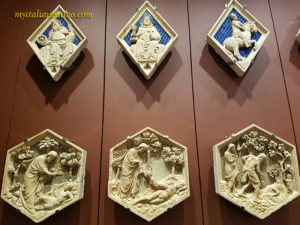 The museum is six thousand square metres. 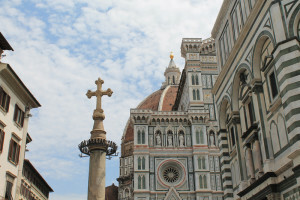 The exhibition itinerary has been aligned with the large marble and bronze decorations from the Cathedral of Santa Maria del Fiore, the Bell Tower and the Baptistery. 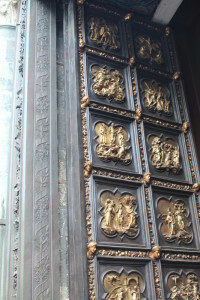 The North Doors, by Lorenzo Ghiberti (1403-1424). Cathedral of Santa Maria del Fiore a.k.a. Florence’s most ancient art project. 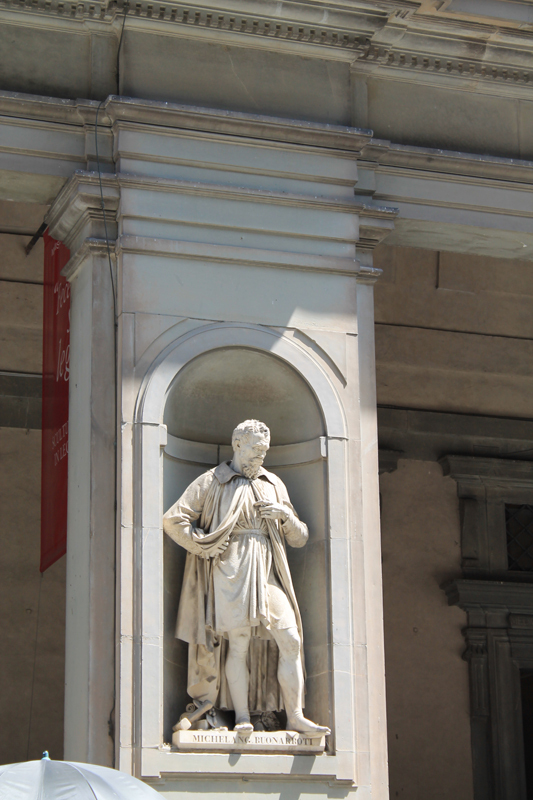 The building work was assigned to Arnolfo Di Cambio, who managed to complete the two aisles and part of the façade. 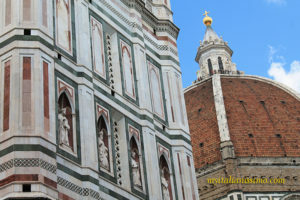 Giotto designed the bell tower, and the whole project was crowned by Filippo Brunelleschi‘s gigantic dome, which took only sixteen years to complete (1420-1436). Brunelleschi originally envisaged the dome reinforced with mosaic decoration on the inside, but it was later frescoed by Giorgio Vasari, who created the largest fresco at that time (1572-1579), of more than 3600 m2. 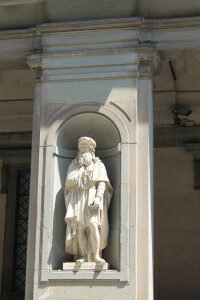 A passerby admires the statue of Filippo Brunelleschi in the Piazza del Duomo. 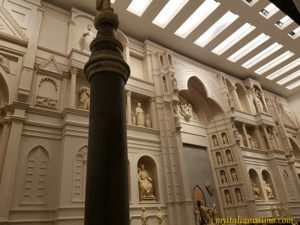 The Museum houses: the originals of many sculptural elements of the Cathedral complex, such as statues and decoration from Di Cambio’s original, unfinished façade with its giant, full-scale model. 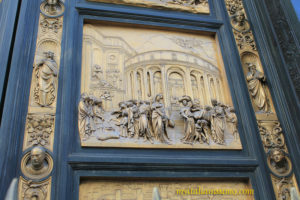 On the opposite side, the ten panels of Lorenzo Ghiberti’s Gates of Paradise (1425-1452), which in July 1452 obtained the place of honour right in front of the Duomo. 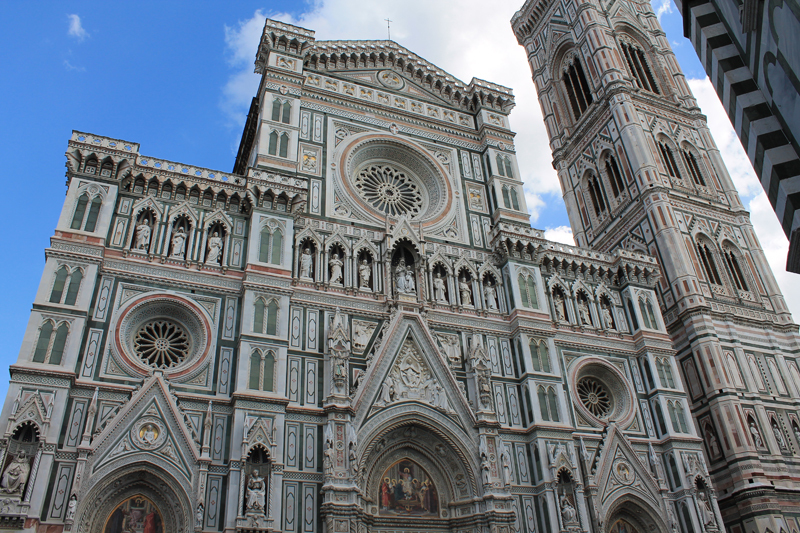 Michelangelo gave the masterwork this name for its gilded beauty. 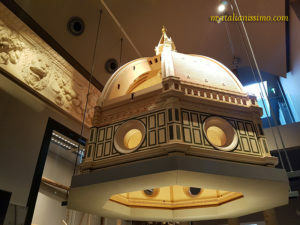 And then: wooden models of the dome, different design plans for the beautiful façade developed over the centuries, liturgical vestments, as well as the second of Michelangelo’s three Pietàs, one of his most mysterious works, which may have been intended to go on the sculptor’s tomb; he once famously tried to destroy it with a hammer. 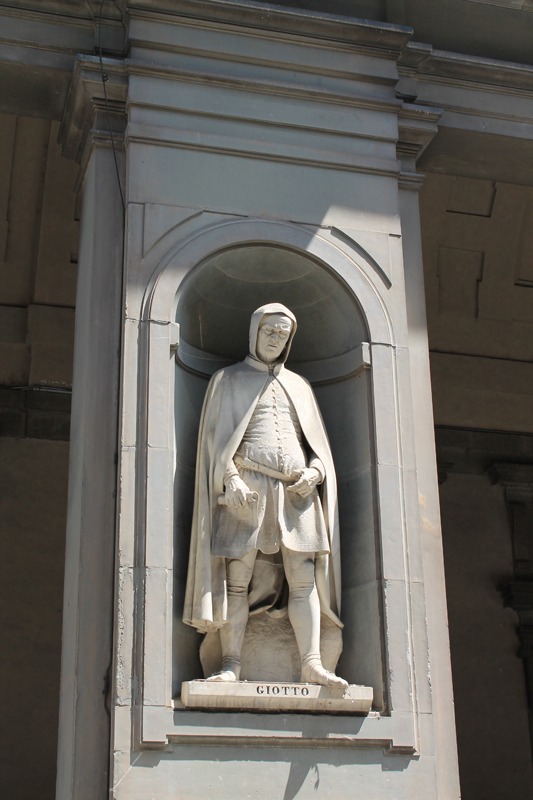 There’s also the beautiful Penitent Magdalene by Donatello, an older and suffering woman with a tender gaze. 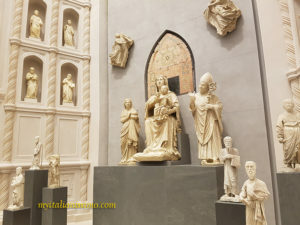 In the Gallery of Giotto’s Belltower, you’ll find 16 larger-than-life statues (including the renowned three Prophets by Donatello), as well as the 54 scenes that adorned the belltower, which most consistent part saw Andrea Pisano at work, as mentioned in my previous post about this marvellous cathedral. 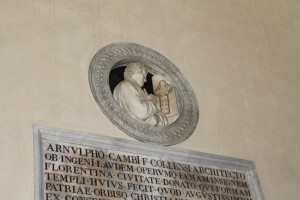 God creating Adam and other reliefs by Andrea Pisano and his workshop. The Sala del Paradiso, the museum’s main hall, literally takes your breath away. 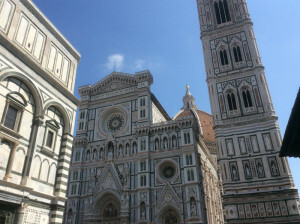 Before the dismantlement of the unfinished medieval façade in 1587, the Florentine Paradise (the area between the Baptistery and the Cathedral) had been the richest decorated piazza in Europe. 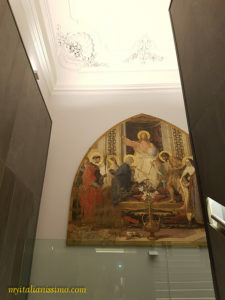 If you stand in the middle of the room, you can grasp the whole effect of the façade reconstructed here on the basis of a 16th-century drawing . 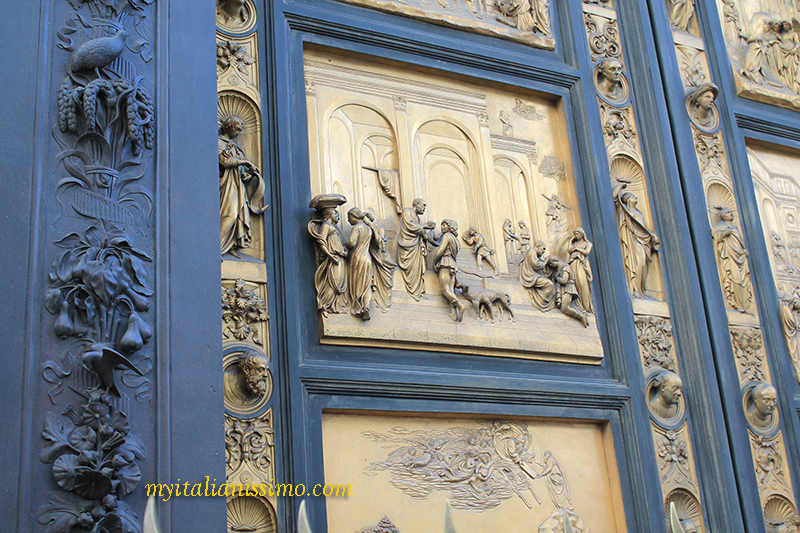 Over the centuries entire generations of artists, workers and artisans succeeded on each other. 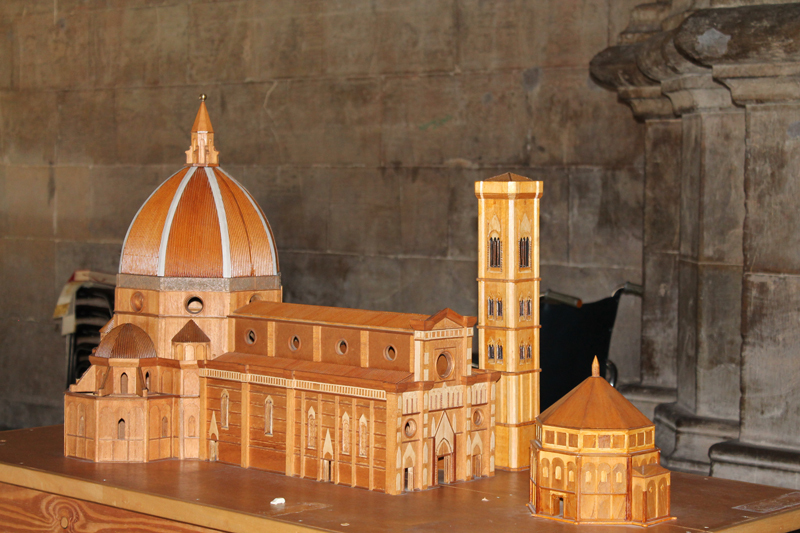 They dedicated their lives to this project, knowing they would never be able to see its conclusion. 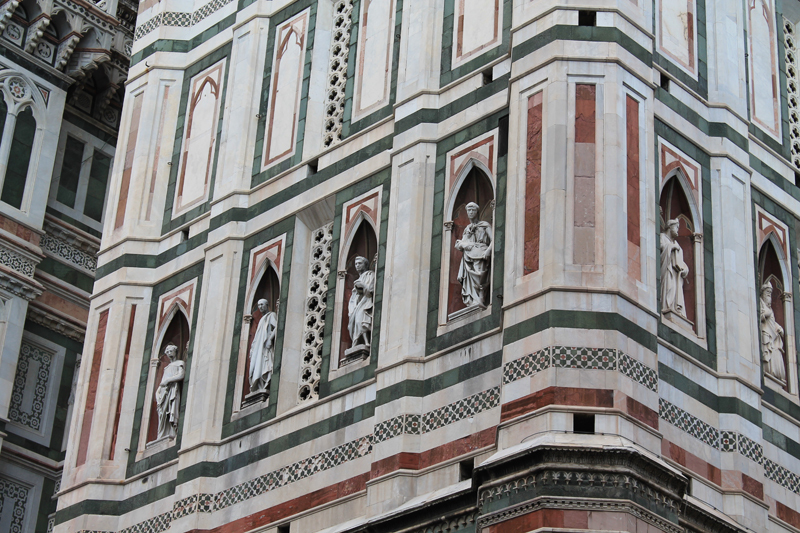 Today, men and women at the Opera del Duomo continue working on the project with the same pride of their predecetors. 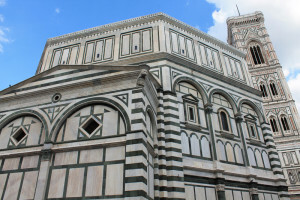 Entry: an all-inclusive ticket admits you to the Museum, the Baptistery, Giotto’s Belltower, Brunelleschi’s Dome and the Crypt of Santa Reparata, €15. 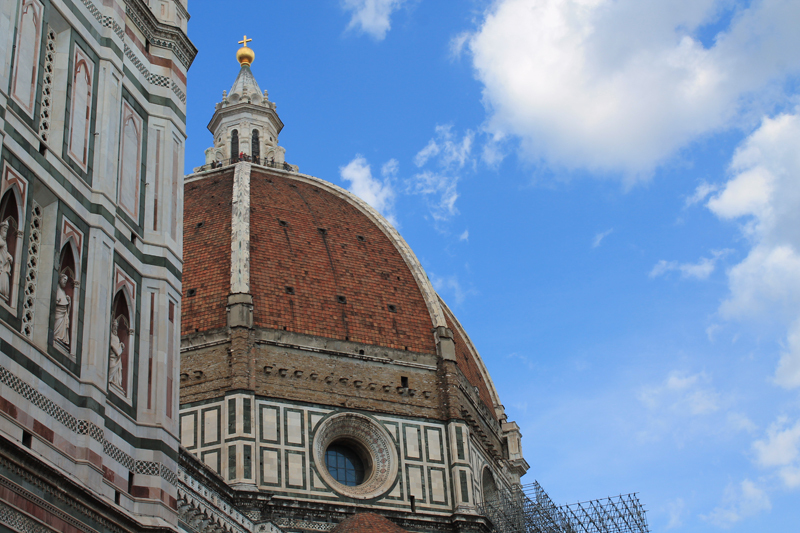 The visit ends with a panoramic terrace that offers a breathtaking view of Brunelleschi’s dome and the rooftops of Florence. 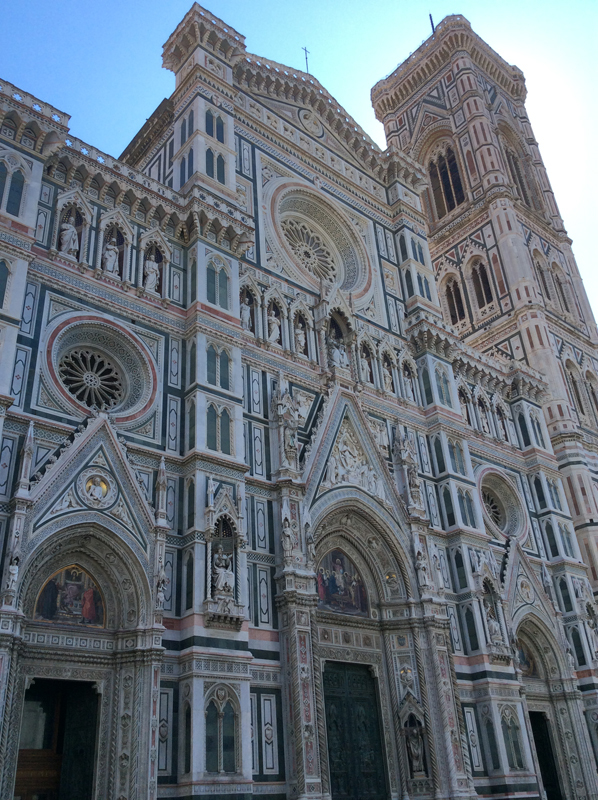 The largest in Europe when completed in the 15th century, and the 5th by size now, Santa Maria del Fiore is a marvel in the heart of Florence, a majestic church carefully decorated with attention to the finest detail. Everything in Santa Maria del Fiore is extraordinary: the splendid floor decoration in coloured marble, designed by Baccio d’Agnolo, the famous frescoes and busts honouring illustrious men. 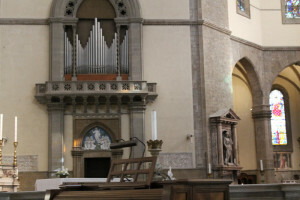 The whole cathedral interior is charged by surreal atmosphere. 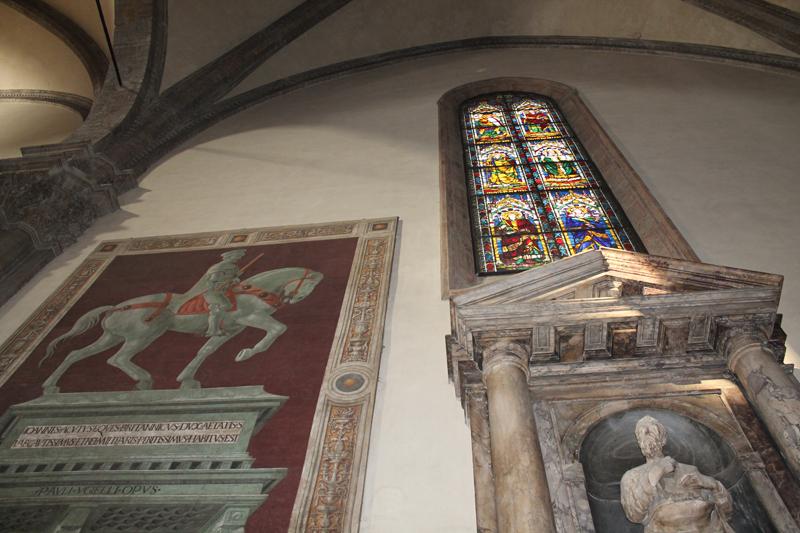 The brilliant colours of the stained-glass windows saw even Donatello involved, despite his personal antipathy towards Brunelleschi. 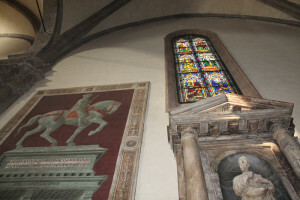 The circular stained-glass window high above the altar depicts the Coronation of the Virgin (1434-1437), and it is the only known surviving two-dimensional work by the greatest Florentine sculptor. A vast cycle made up of 44 windows created in less than 50 years constitutes most gigantic single glass project in 14th and 15th century Italy. 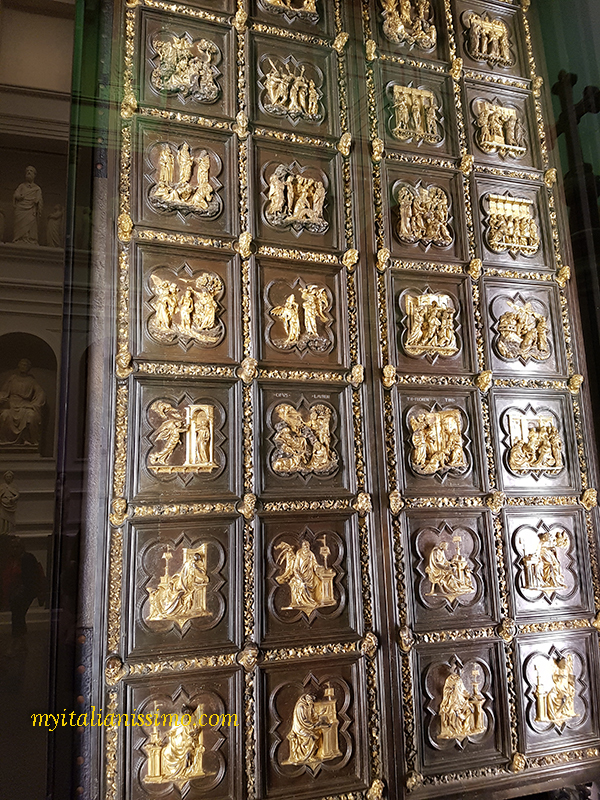 Outstanding for its chronological consistency, for the high percentage of original glass still in position today, and for the level of the artists who prepared the designs. 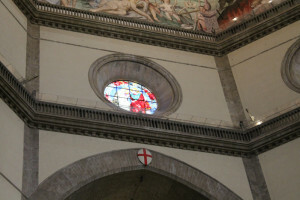 The Assumption of the Virgin, the glass oculus of the façade designed by Lorenzo Ghiberti, was restored in 2015 to revive its original colouring. 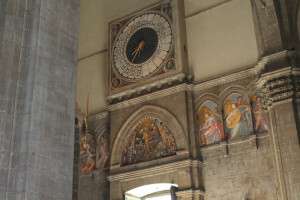 The one-handed liturgical clock over the main portal painted by Paolo Uccello in 1443 shows the 24 hours of the hora italica. 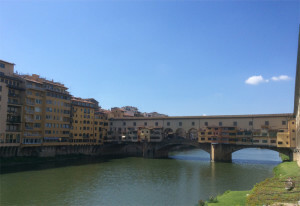 Upon the death of Piero de’ Medici, known also as Il Gottoso (the Gouty), the city is ruled de facto by Lorenzo and Giuliano, who take over their father’s power, at the age of 20 and 16 respectively. 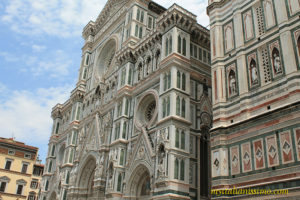 They are fortunate enough to see the majestic Cathedral in its full beauty, standing proudly in the heart of the city. 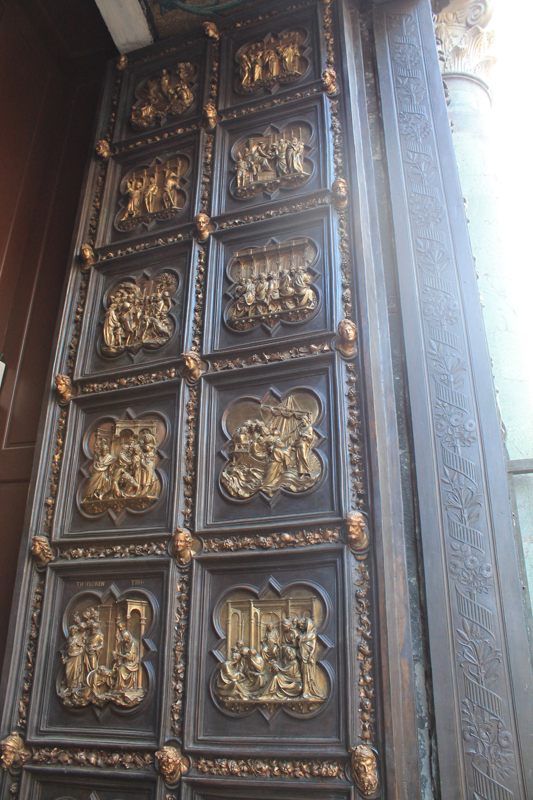 There is art everywhere. 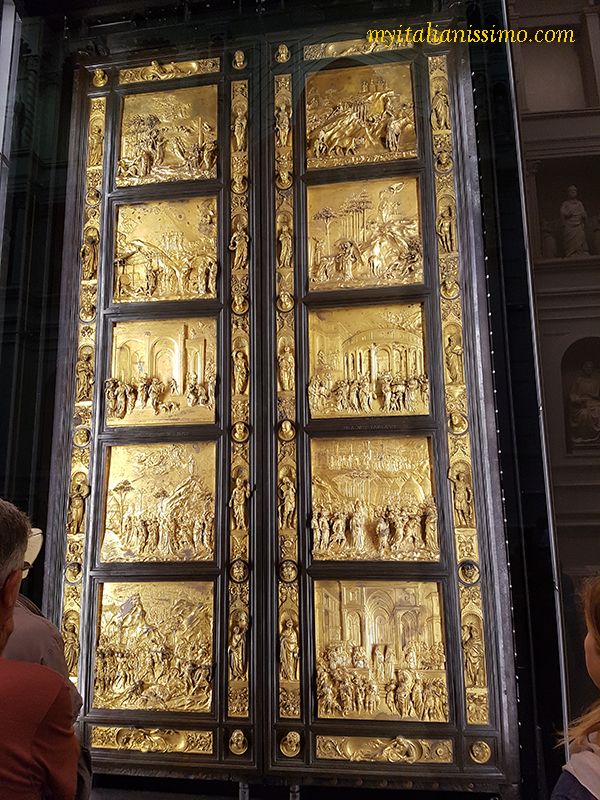 Priceless artworks created by the greatest artists of the time and rich colours of the monuments – bronze doors and statues, marble sculptures, mosaics and stained glass. But, on Easter Sunday April 26, 1478 the cathedral was the scene of the Pazzi conspiracy, when Lorenzo and Giuliano were attacked during the Mass. 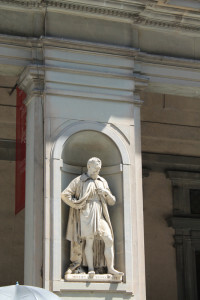 Giuliano died aged 25, while Lorenzo managed to escape. The Pazzi, a rich and powerful Florentine family, would not be satisfied with their number two position and, supported by Pope Sixtus IV, had planned the attack. 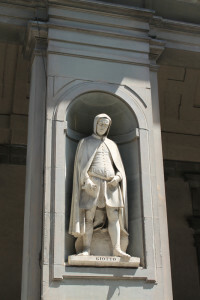 The Pope and Federico da Montefeltro, the Duke of Urbino, might have organized the military operation to seize the city of Florence and steal it from the Medici’s hands. 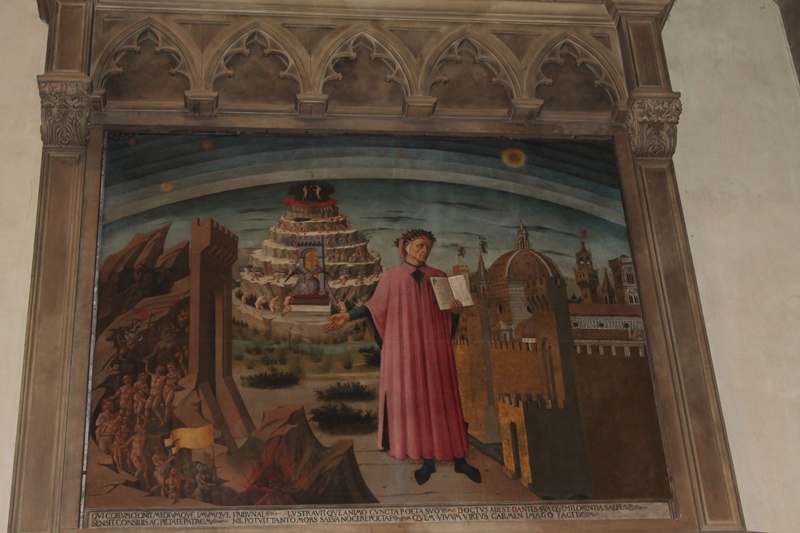 But Lorenzo survived and became even stronger, the patron of the arts and humanities, the ruler beloved of his people. 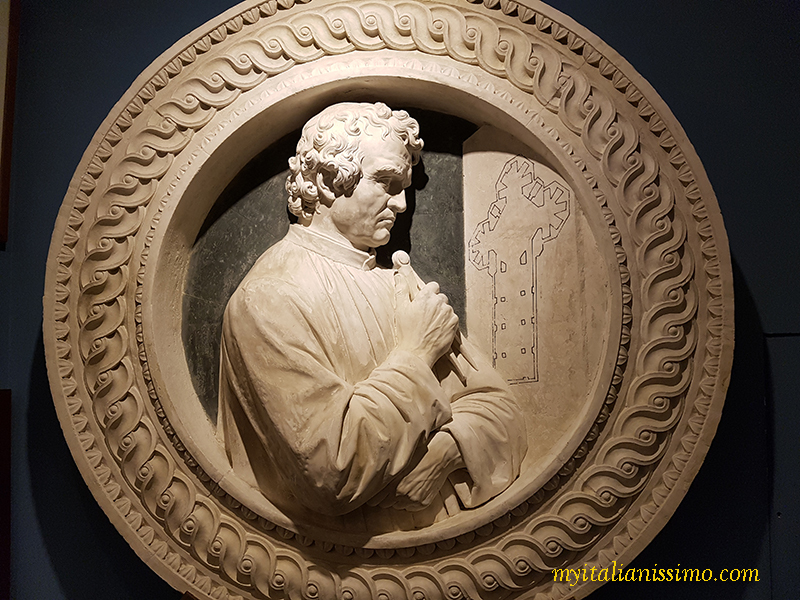 It was his duty to treasure, transmit and glorify all the beauty born in those years, for future generations to come and admire. 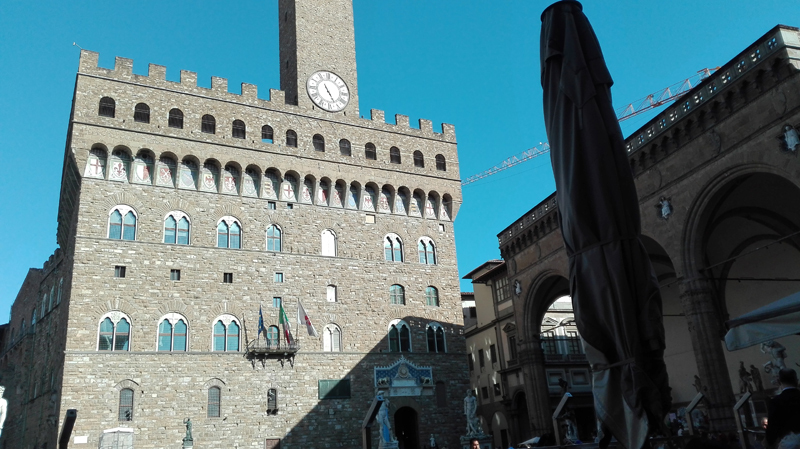 Piazza della Signoria, the lively beating heart of Florence, can be recognized as the scenario of crucial events in the city’s political life. 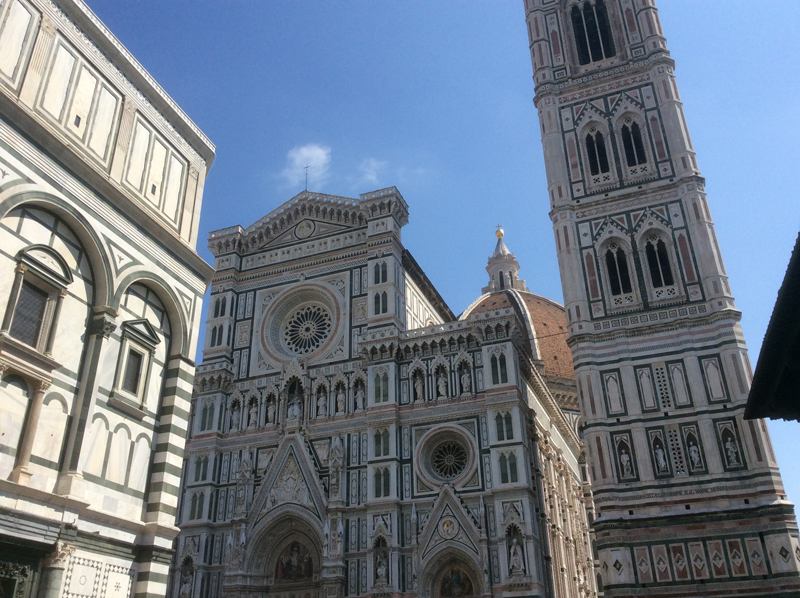 Here in the late 1200s a series of projects were submitted, willing to showcase the status of Florence as one of Europe’s economic and cultural capitals and to affirm its supremacy. In 1294 the Florentine government decided to build a new cathedral on the site of an ancient church of Santa Reparata (the city’s cathedral till that time which was “crumbling with age”) – an enourmous church, far bigger than the cathedrals of rival Tuscan cities Pisa and Siena. 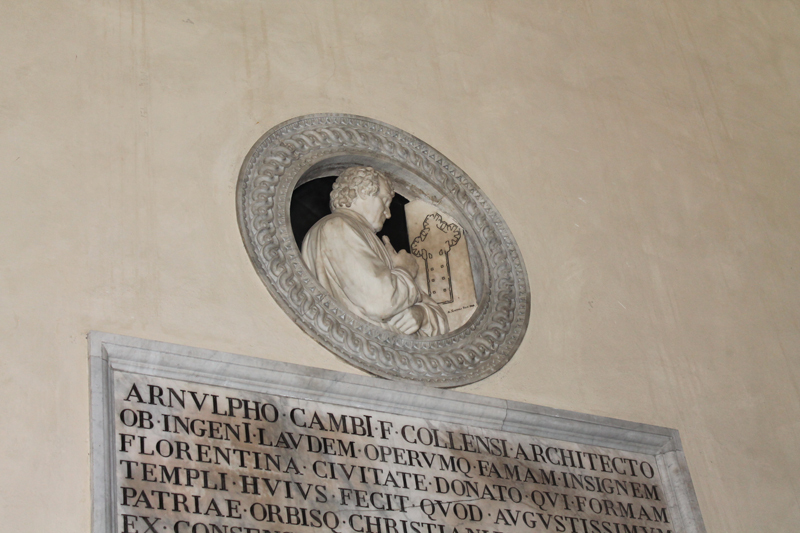 The work on the new church designed by Arnolfo di Cambio began in 1296, when on September 8th the first stone was laid. 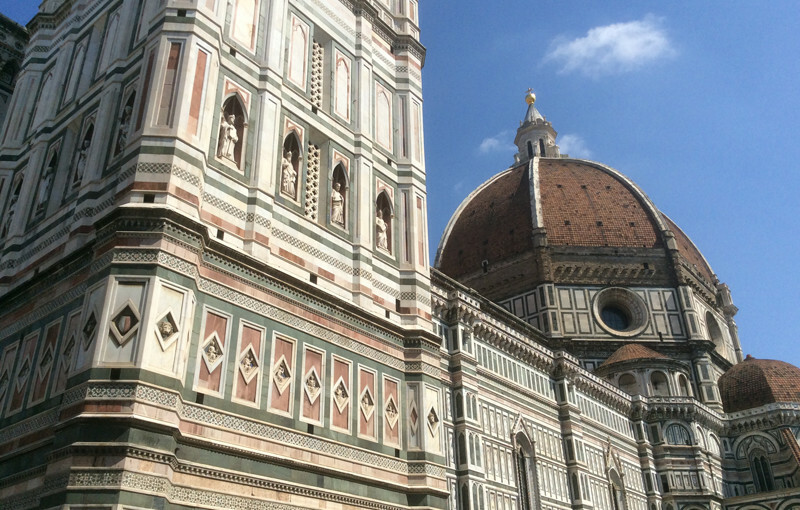 The Cathedral as we see it today is the result of 140 years of work. 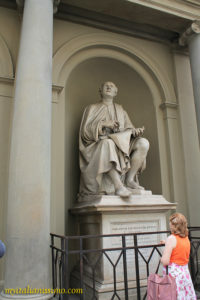 After Arnolfo’s death in 1310, Giotto was appointed to oversee the project, succeeded by Francesco Talenti, Giovanni di Lapo Ghini and other architects. 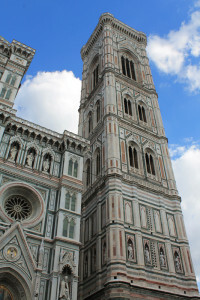 18 July 1334: construction work begins on the Bell Tower, to a design by Giotto, who had designed it more as a decorative monument rather than a functional bell tower, carried on after his death in 1337 by Andrea Pisano till 1348, then finished in 1359 by Francesco Talenti. 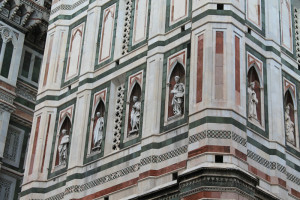 The gorgeous sculptural decoration of the bell tower comprises 56 reliefs on two registers and 16 life-size statues in the niches by Florentine masters Andrea Pisano, Donatello, Luca della Robbia and others. 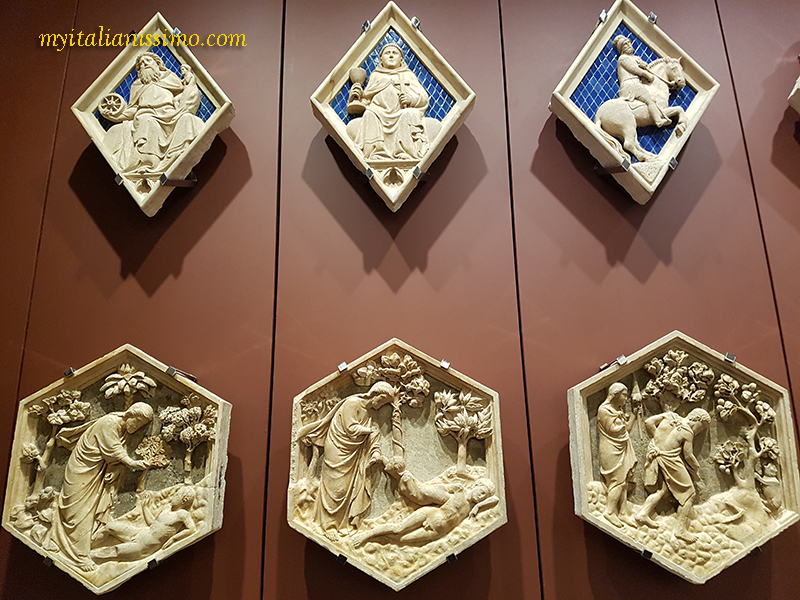 The lower register reliefs facing the Baptistery depict biblical scenes (the creation of man and woman), the beginning of human work and also various trades (sheep-herding, metal-working, music and wine-making). 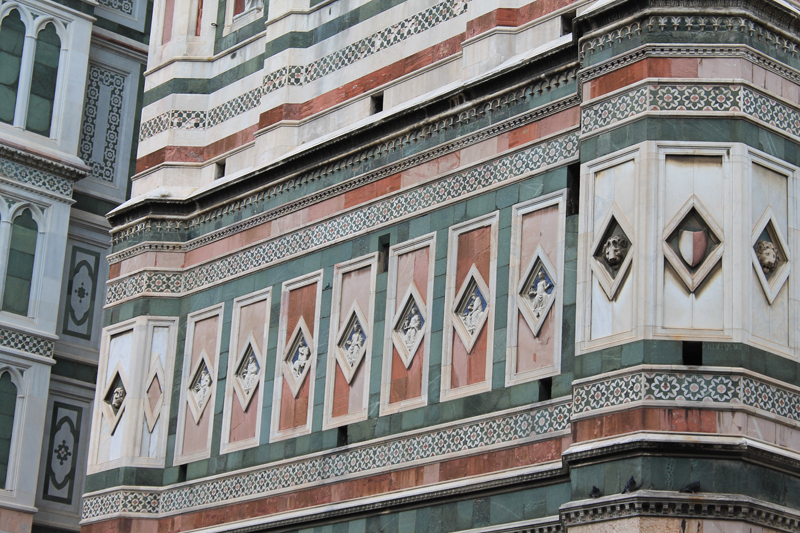 Here the Florentines were displaying what made them proud and prosperous. 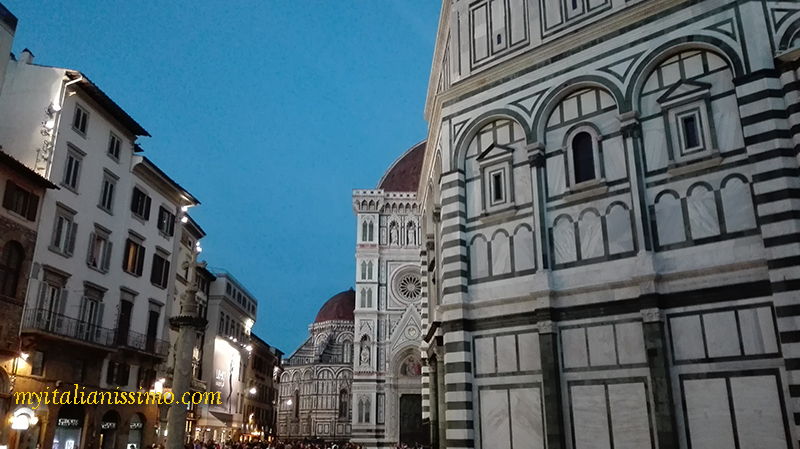 While in the upper register are the seven planets, beginning with Saturn at the north corner. 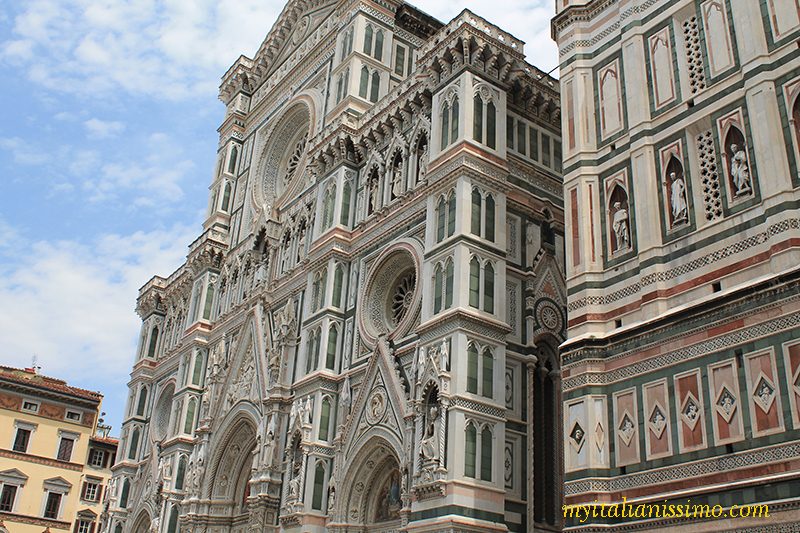 The originals of all these works are now in the Opera di Santa Maria del Fiore Museum. 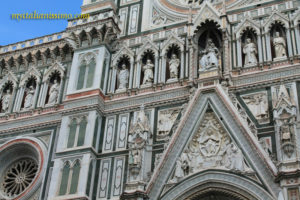 By 1418 only the Dome remained incomplete. 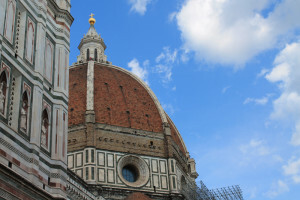 The architectural design competition for erecting the dome was won by Filippo Brunelleschi, who astonished everyone by proposing to carry out a project with no flying buttresses to support it. Lorenzo Ghiberti was appointed co-superintendent. 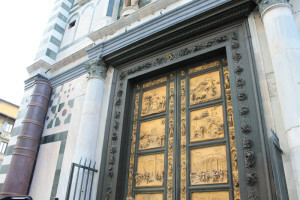 Their lifelong competition remained sharp, and Filippo, forced to work side by side with his rival, faked illness, taking over sole responsibility of his project when Ghiberti admitted he was unable to carry out this field on his own. 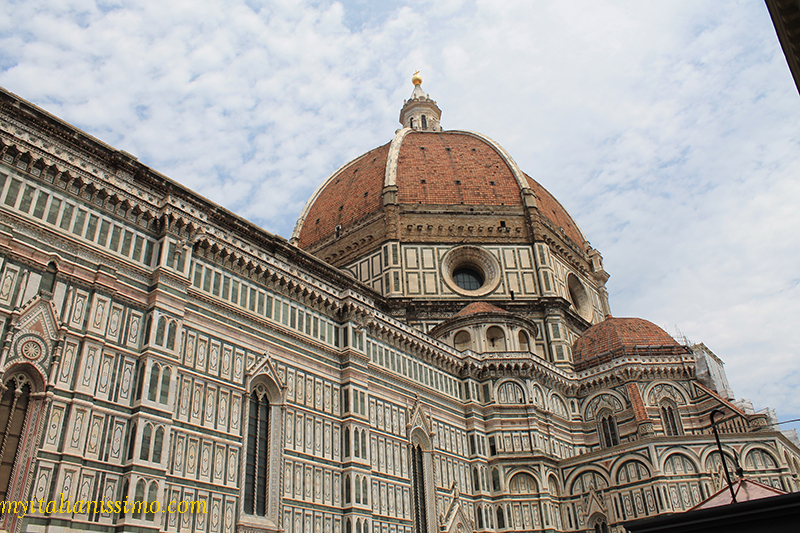 Brunelleschi created the most elegant dome, the greatest affirmation of Renaissance architecture. 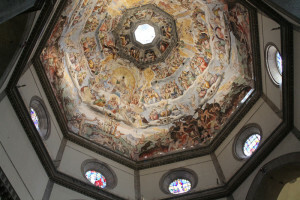 The dome’s interior remained white for over a century. 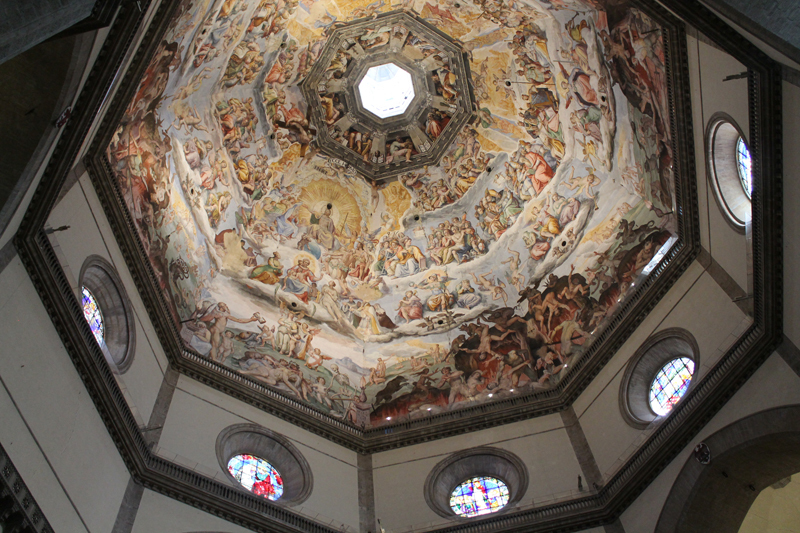 As we lift our gaze now, we can feel the mystical atmosphere emanating from the majestic Last Judgment by Giorgio Vasari and Federico Zuccari. 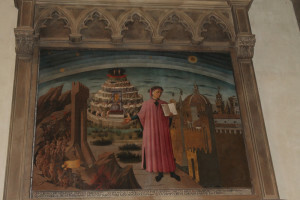 This is the largest single area ever frescoed (with its 3,600 metres²), finished after 7 years of work, inspired by Michelangelo’s Sistine Chapel (which took him 4 years to paint), with a lot of space given to Dante’s Divina Commedia. “And then did I make another dome on top of this, to preserve it from the damp, and to give it a more magnificent and swelling appearance”, – in his own words Filippo Brunelleschi sums up the simple grandeur of his architectonic immagination – a dome inside a dome. The Cathedral, consecrated by Pope Eugene IV on March 25, 1436 (the first day of the year according to the Florentine calendar), is dedicated to Madonna del Fiore (St Mary of the Flower), that is to Florence, and the ‘flower’ is in fact Christ – first fruit of our salvation. 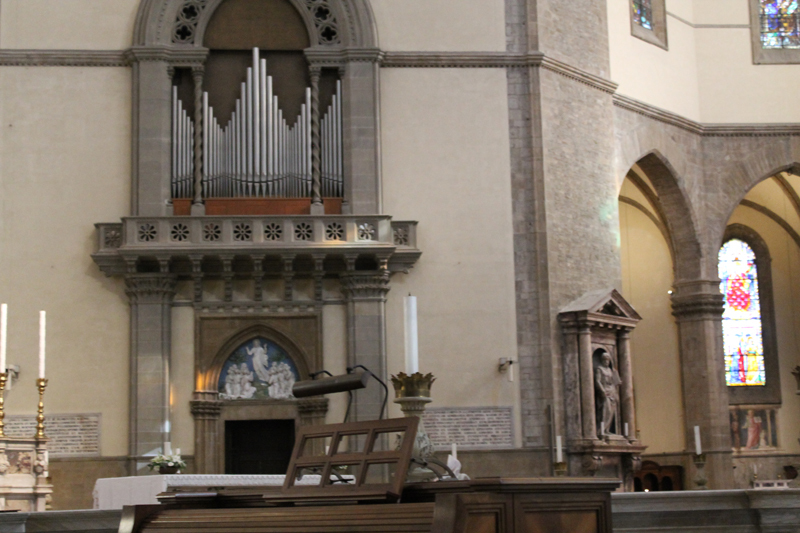 When entering the Cathedral, one is struck by its vastness, as well as the simplicity that underscores the church’s dimensions. 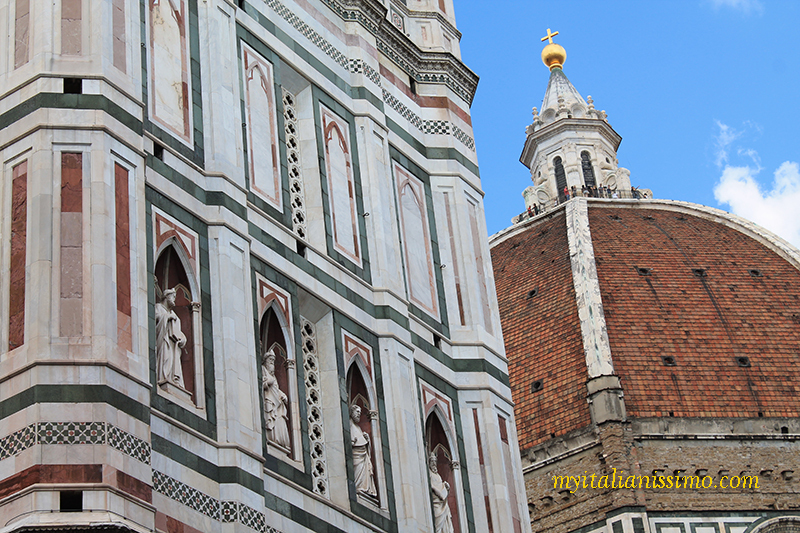 The Baptistery of San Giovanni, across from the Cathedral, dates back to 897-1128. 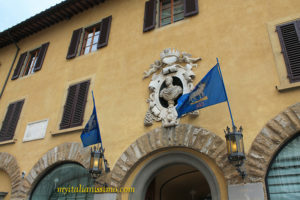 Built atop an ancient pagan temple dedicated to Mars, it is the oldest building in the square. 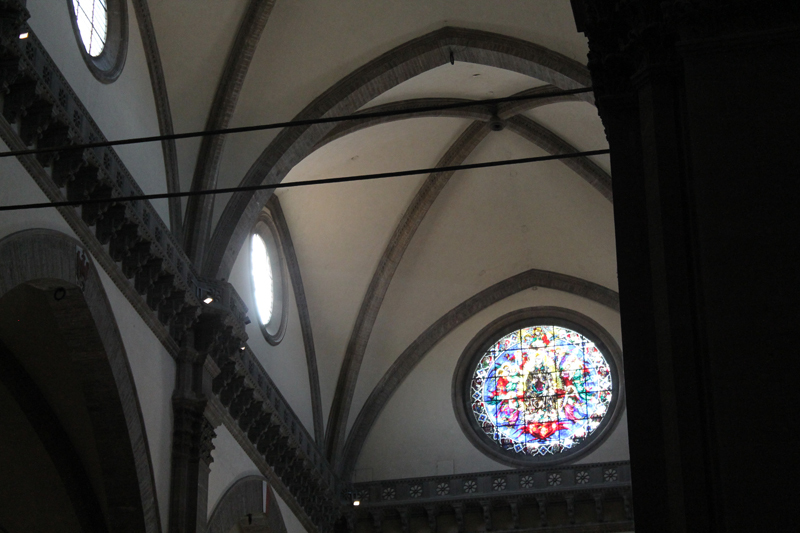 Its octagonal shape symbolizes the octava dies (the eighth day without end) – the time of the Risen Christ. 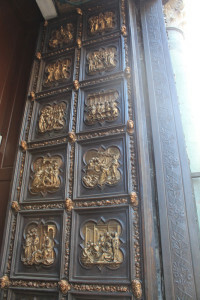 Embellished with costly marble in the 11th century and three sets of extraordinary bronze doors it is famous for between the 14th and 16th centuries. Once again, a competition. Once again, Brunelleschi vs. Ghiberti. 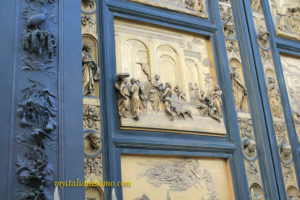 This time Ghiberti was victorious. 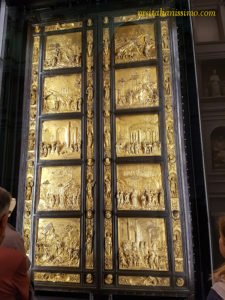 The North Doors, by Lorenzo Ghiberti at the beginning of his career (1402-1425), with scenes from The New Testament. 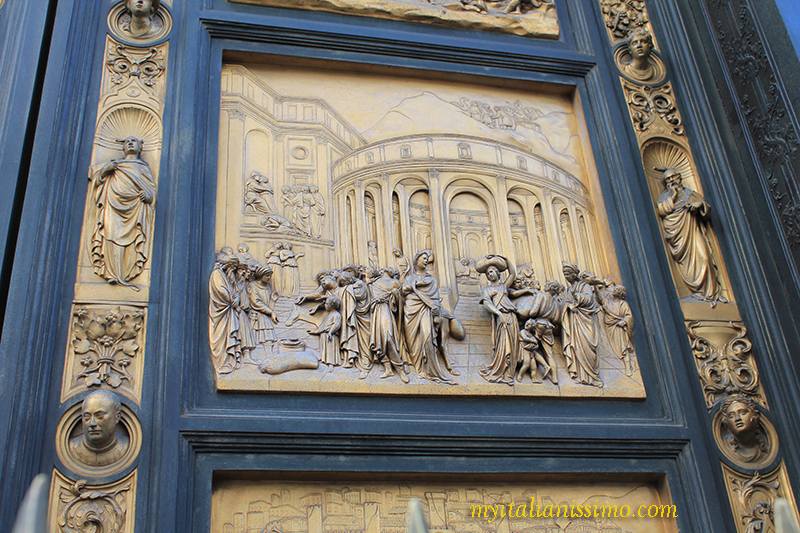 The Gates of Paradise, to the east, with scenes from The Old Testament by Lorenzo Ghiberti (1425-1450). 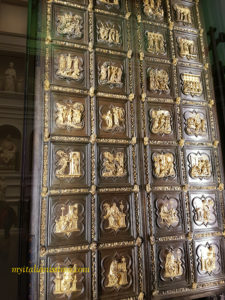 Only a few years ago they were black with grime, but now all the original gilding is visible. 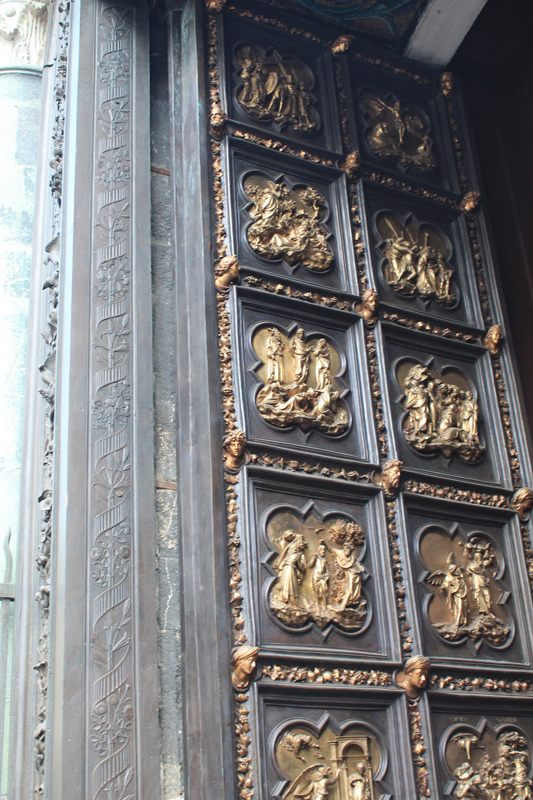 These bronze panels allow us to look into an infinitely deep space and admire all the extraordinary detail, so we can really understand why the Florentines were so proud of them and wanted to move them to the most prominent place. 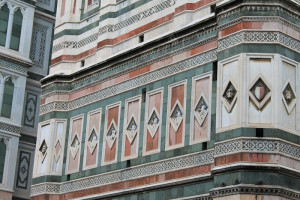 The façade, completed between 1871 and 1887 to Emilio De Fabris’ design, in a neo-gothic style. 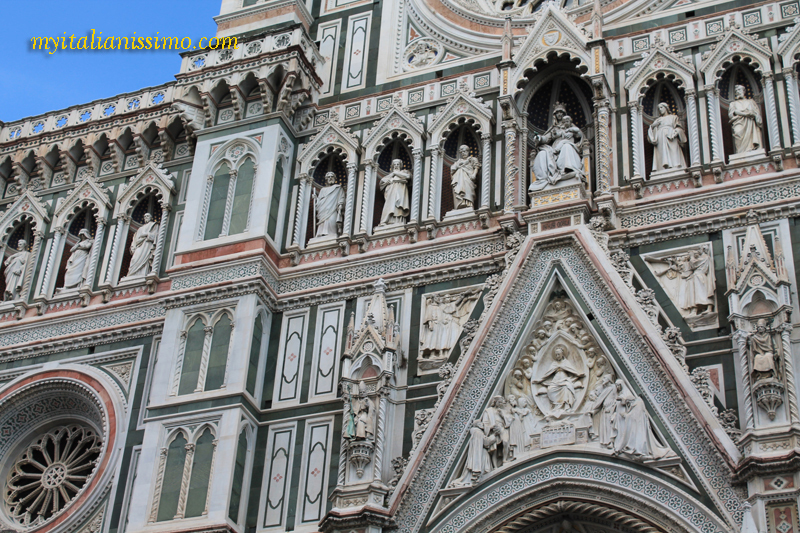 The façade’s sculptures were dismantled in the late 1500s and it was left bare till 1800s. The whole area includes the Baptistery of San Giovanni, the beautiful columns, the Cathedral of Santa Maria del Fiore (il Duomo) with the excavations of Santa Reparata, Giotto’s Bell Tower, the new and enlarged in size Opera di Santa Maria del Fiore Museum, all these sights have religious roots. Great artists of the past created their marvellous works to express their devotion to culture and Christian faith in order to enrich the life of Florence and all of humanity.